Revival Type: Digital Typefaces Inspired by the Past by Paul Shaw with Abby Goldstein (New Haven: Yale University Press and London: Thames & Hudson, 2017). Design by Abby Goldstein. I am not immune from the Blue Pencil treatment. Like every author, I have made mistakes despite my diligence. I am embarrassed by them. Recently, Jerry Kelly, in reviewing Revival Type: Digital Typefaces Inspired by the Past (2017) for Printing History 23 (New Series, Winter 2018) pointed out some errors in the book. All I can say is mea culpa and post them here. 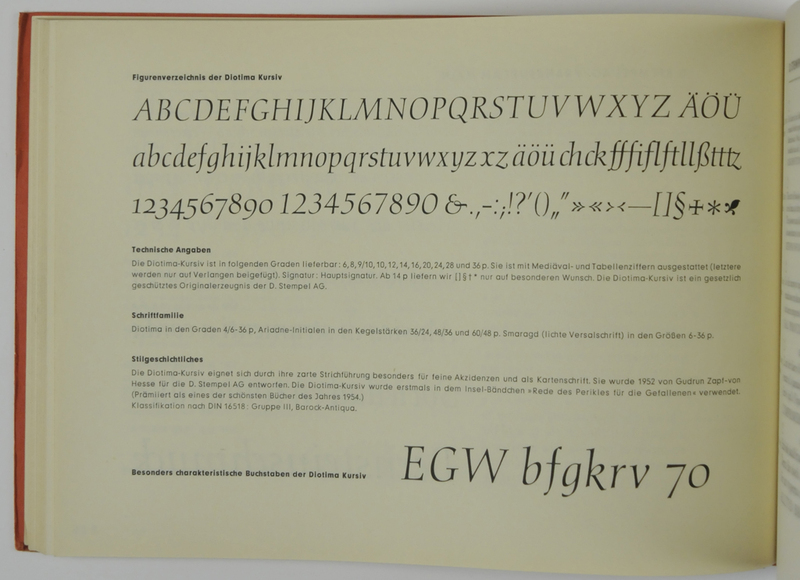 p. 38—”Furthermore, [in the Linotype/Adobe version of Wilhelm Klingspor Schrift] the A, k and x had been redrawn to make them more familiar to modern users.”—Kelly correctly points out that the A was not changed in that early digital version. An alternate redesigned A is included in the Alter Littera version, however. See the specimen showing on p. 39 in Revival Type. p. 78—”When they [the types of Miklós Kis] were rediscovered in the 20th century by Stempel, which had acquired the Erhardt material, they were misattributed to the Leipzig type founder Anton Janson (1620–1687).” Kelly points out that Kis’ types survived at the Drugulin typefoundry in Leipzig and were known in the late 19th century. Dutch Typefounders’ Specimens from the Library of the KVB and Other Collections in the Amsterdam University Library with Histories of the Firms Represented by John Lane, Mathieu Lommen and Johan de Zoete (Amsterdam: Bijzondere Collecties van de Universiteit van Amsterdam, 1998) says that Drugulin revived them c.1874. Stempel acquired the types from Drugulin in 1919.
p. 172—”The alternate narrow L and T are gone…” Kelly points out that the narrow T does exist in Palatino Imperial (the new name for Sistina) and that it is visible on p. 173 of Revival Type. p. 181—…A has lost its head serif, the counter of B has been closed, and the f has been given more curve, while the x has been entirely redrawn.” Kelly points out that the original Diotima Italic had alternate forms of both A and x and thus the versions in Diotima Classic Italic are not new. (See the 1970 Stempel specimen page below for the alternate x and z and the pointed A.) However, the image of Diotima Italic (p. 180) shows the A with a head serif rather than the pointed one in Diotima Classic Italic. The x shown is merely wider than the original—not entirely redrawn. Figurenverzeichnis der Diotima Kursiv from Auslandsprobe der lieferbaren Schriften (April 1970) from D. Stempel AG. Image courtesy of the Cary Graphic Arts Collection at Rochester Institute of Technology. It should be noted that there are other changes in Diotima Classic Italic which I did not enumerate in Revival Types: the arm of r has been redrawn, a serif has been added to the old style figure 4, the upper curve of the old style figure 2 has been redrawn, and all of the descenders have been lengthened. Overall, the digital revival is less elegant than the large sizes of its metal forebear. p. 217—”Nobel has a number of non-geometric traits such as the E with a short vertex, the curved tail of Q, and a single-story a.” Kelly is correct that the last part of the sentence should read “double-story a.” What he missed, but I just noticed, is that it should say “the M with a short vertex”. p. 231—”In florence he was inspired…” Florence should be capitalized. p. 244—the bibliography entry for Johnson, A.F. “The Italic Types of Robert Granjon” in The Library, 4th series, xxi (1941) is out of alphabetical order.